American Red Cross in short abbreviated as ARC is also known as American National Red Cross, is an organization which provides emergency assistance, disaster relief and educational facilities inside United States of America. The foundation was formed in the May 21, 1881, and its headquarters is located in Washington DC, United States. 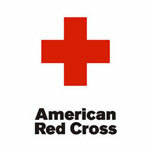 American Red Cross is affiliated to International Federation of Red Cross and Red Crescent Societies. One can take part in company activities by donating funds, giving blood, taking class, by teaching, by being an advocate, getting involved with a group or program, volunteering in international helping. There are currently 0 consumer reviews about American Red Cross available. Share your review. Please take a note that you are about to post a public review about American Red Cross corporate office on CorporateOffice.com. This review will be public, so please do not post any of your personal information on this website. If you would like to contact the corporate offices of American Red Cross, please use their contact information such as their phone number, website, and address listed above to contact them. However, sometimes staff from American Red Cross headquarters do read the reviews on this website.